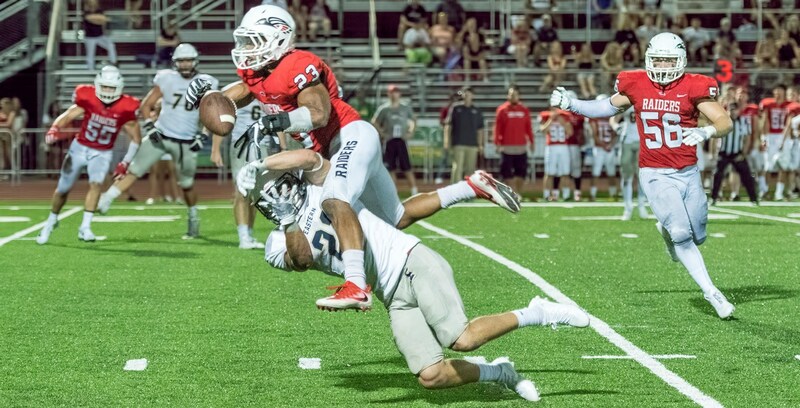 Headlining the InstantScouting 2018 Elite Class: NAIA – Linebackers is Southern Oregon University senior Tyson Cooper. In his junior campaign, Cooper tallied 93 tackles, 10 tackles for losses, three forced fumbles, two fumble recoveries and an interception. Led Southern Oregon with 108 total tackles with 10 tackles for loss earning 1st Team ALL-Frontier as a linebacker. OLB earned ALL-GPAC First Team honors at Dakota Wesleyan making 68 tackles including 11.5 tackles for loss. ALL-HAAC selection at Baker had 113 total tackles including 12 tackles for loss in his junior campaign. Had 10 tackles for loss at MidAmerica Nazarene and 3 forced fumbles earning all-conference honors. Had 80 total tackles including 5.5 tackles for loss earning 1st Team ALL-HAAC at linebacker. Chaffey College transfer had 84 tackles including 2 sacks earning ALL-KCAC honors. ALL-MSC selection at Lindsey Wilson had 119 tackles with 6 tackles for loss. Had 62 tackles including 4 tackles for loss at Warner earning ALL-Sun. LA Valley College transfer made impact at Dickinson State with 85 total tackles including 7.5 tackles for loss. ALL-NSAA selection had 74 tackles including 4 tackles for loss.